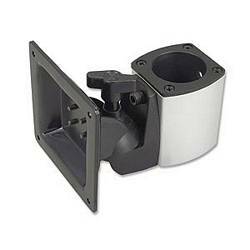 Add a flat screen monitor--or even a second one--to your ZIOTEK workstation post system with this rugged clamp. It provides both vertical and horizontal adjustments and can be affixed to both 75mm and 100mm VESA standard monitors. Includes monitor-mounting hardware. Monitor not included.